Sandals Resorts is the definition of luxury. Sandals Resorts has many different locations throughout the Caribbean, along with their kid friendly Beaches Resort. 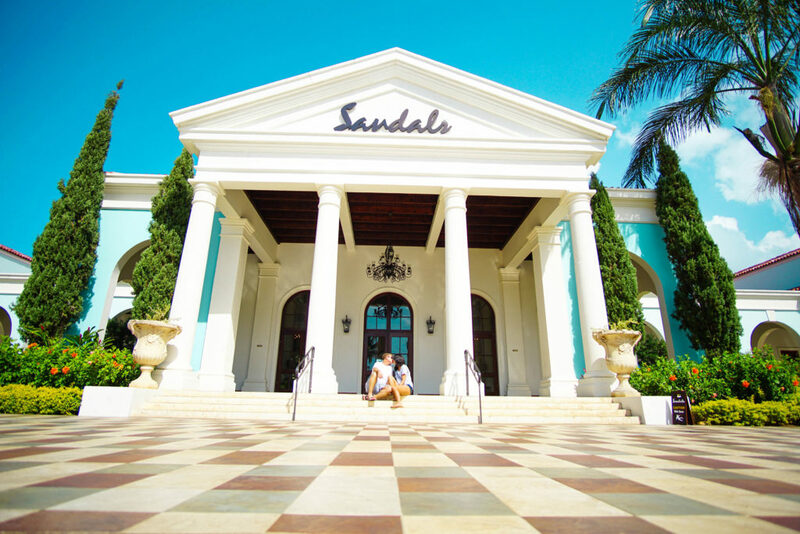 We were lucky enough to visit Sandals Resorts in Jamaica back in March, where we absolutely fell in love with the Sandals product. When we arrived back in Barbados we knew we had to check out the Sandals Resort here. Royal Barbados was one of the newest ones, and the fanciest! We got day passes to explore Sandals Barbados and Royal Barbados and once again fell in love with it. It is an all inclusive experience like no other, mimosas for breakfast, cocktails for lunch and if you can still function maybe even some watersports! The food is delicious with top notch restaurants throughout all the resorts and it’s worth trying everything once! You can also get Sandals day passes in Barbados, it is $130USD for a day pass and $160USD for and evening pass. Day passes run from 10am until 6pm and evening passes run from 6pm until 2am. 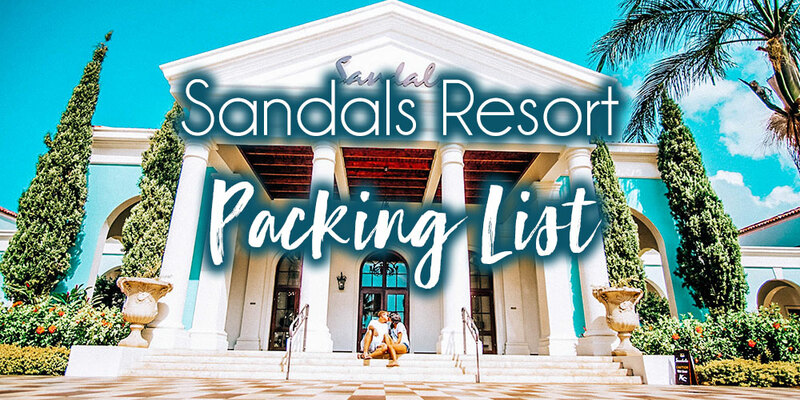 Now that we’ve sold you on your next Sandals vacation we want to share the ultimate Sandals Resort packing list. You can also check out our Barbados packing list. Beach shorts/ denim – something casual to wear around the resort during the day, like these. Sandals! Lol – Obviously don’t forget your Sandals! Sun Hat like this one! Maxi dress – maxi dresses are hands down the best way to be super comfortable and look glam in the evening! Rock them with a nice pair of sandals and you are ready to party all night long! Boardshorts – Obviously, check out these. Polo / button down shirt – required by some of the restaurants for dinner, Jason likes something like this. Dress shoes/ enclosed shoes – Required by some restaurants for dinner, dont miss out because you didn’t pack your dress shoes! Socks – one pair will do, to go with your dress shoes!